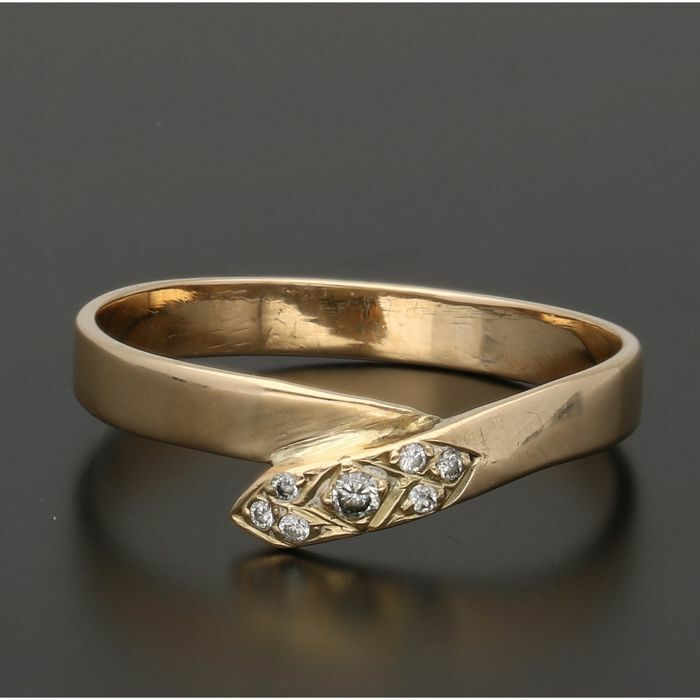 Yellow gold ring set with 7 brilliant cut diamonds of approx. 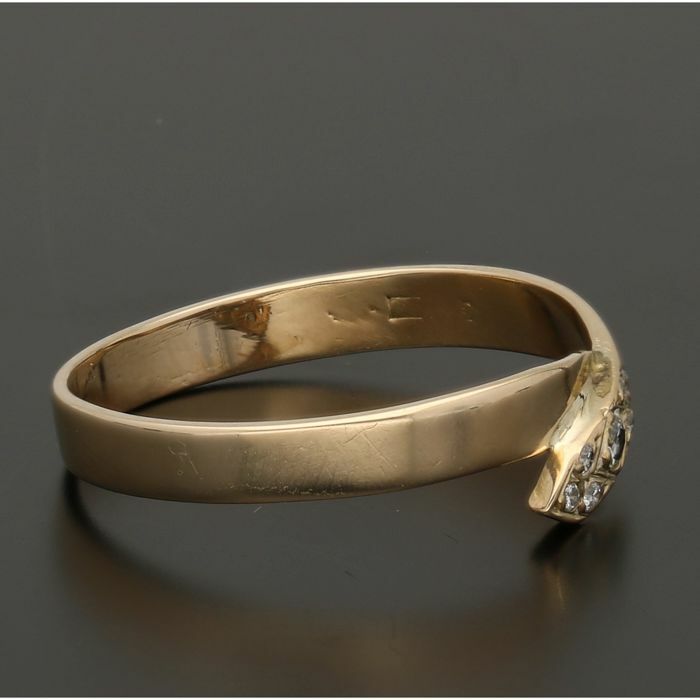 0.05 ct in total. Size: 1 x approx. 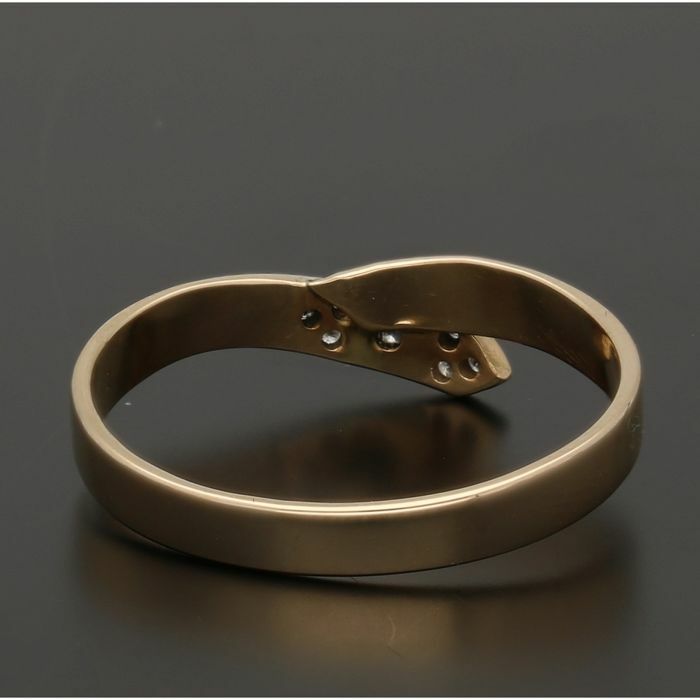 0.02 ct and 6 x approx. 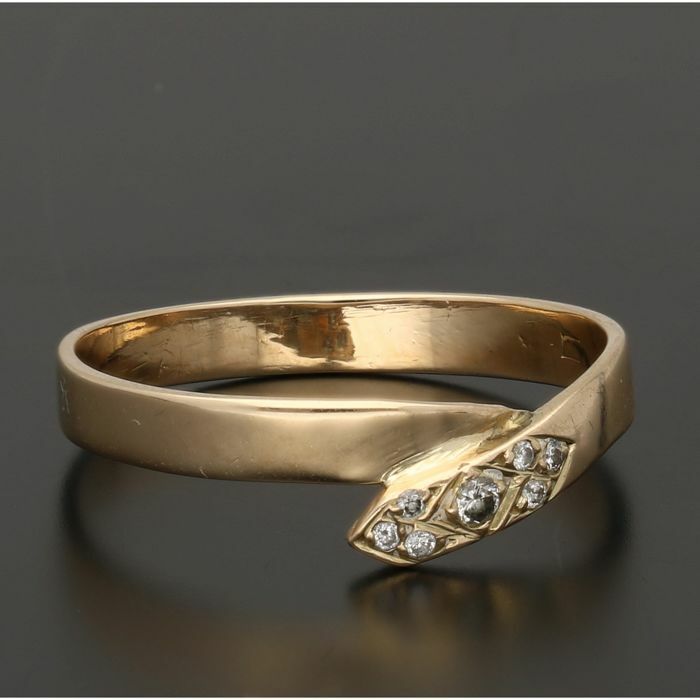 0.005 ct.
Quality: Second-hand and in very good condition. 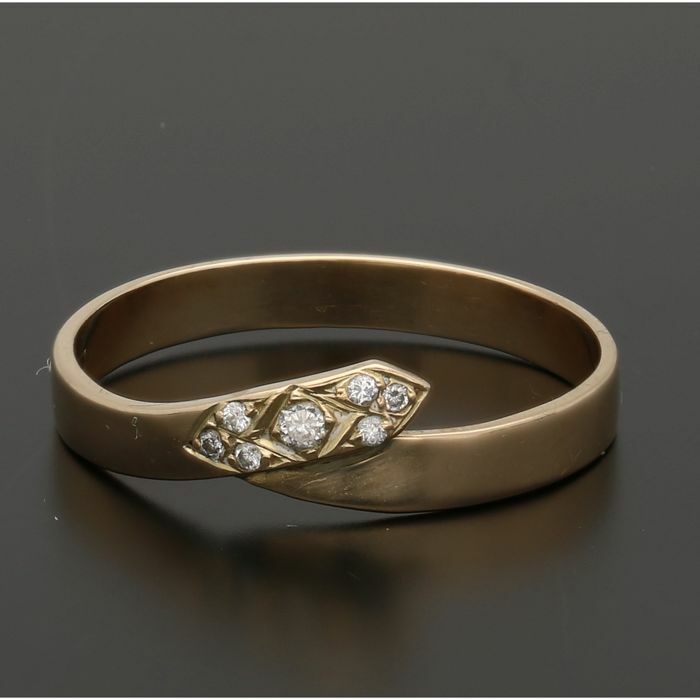 This item of jewellery was tested on gold grade by our expert and found to be genuine. Please see photos for your own impression. 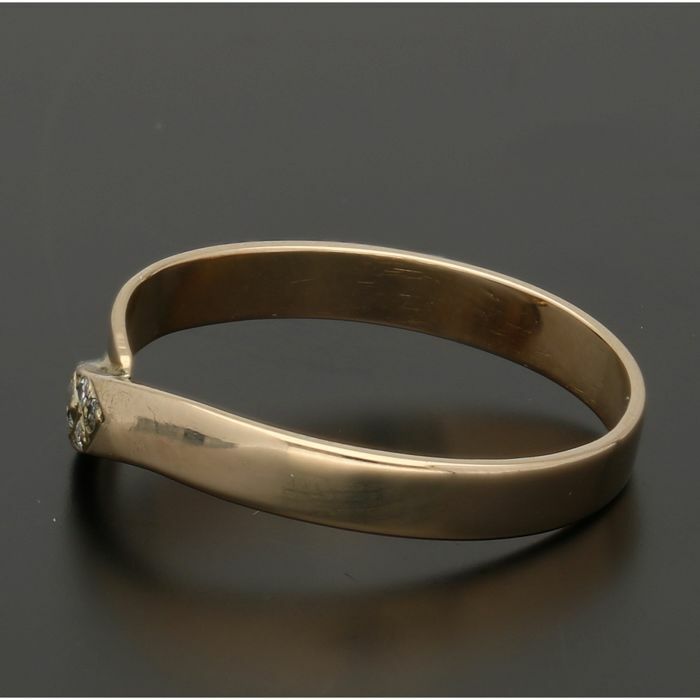 This item of jewellery was tested for gold grade by our expert and found to be genuine.